In my oh-so-wise early teenager-dom I came to the conclusion that it was better to be merely ok than happy. Happiness was the peak of a roller coaster ride. It seemed to me that being truly happy was always cursed with falling into utter sadness. Joyous occasions were only a precursor to a trial or tragedy. However, if I chose to not get too excited on the incline, then the decline would have less terrifying side-effects. So, with this wise clarity I developed a fear of being too happy. Therefore, I tried not to allow myself too much happiness. Thankfully though, with new experiences came knowledge and maturity. I've grown to see happiness in a different venue: Happiness is a tight rope. To walk on a tight rope is so exhilarating and fun, but keep in mind you are human. You will fall from this tight rope. Even those who have seemingly mastered the tight rope walk, cannot stay on it 24/7 without falling here and there. So what can catch our fall? Hmmm... why the safety net of course! The stronger your faith the closer the safety net is to that tight rope, the lesser the fall, and the softer the landing. We do not have to fear our happiness. We need to protect our happiness. The safety net of faith - What do you believe in? When it comes down to the nitty gritty bottom of lows, what do you believe in? Who do you cry out to? Who do you start to plead with? This is your faith in God. Your safety net can always get closer to your tight rope, no matter how strong you think your faith is. Improvement is eternal when it comes to your relationship with God; there is no end. How do we get it closer? Prayer, fasting, scripture study, charity/service, repentance... the list goes on and on. The thing we need to understand though, is that the safety net is personally woven by you and God. You cannot enlist the generous offer of hands to help from friends and family, you can not pay someone to do it for you, and you cannot weave it by yourself. It is a partnership of love between you and your maker. Sometimes we stay on the tight rope for so long that we forget about our net and start becoming prideful in our talent of walking the tight rope. We get cocky. We get braggy. We get selfish. Thankfully the net will still be there when a burst of wind blows out our balance. The net will be much lower than before, but through the insight needed from the fall we are able to build our net back up closer to the tight rope again. Hopefully learning in the process to remember what brought us back to our happy and learn to value humility. This fall will have in turn marked the start of an even greater personal record of happy times. Sometimes we fall out of happy. The reasons for this can vary from outside pressures to an inward desire to just stop trying. Whatever the reason we fall out of happy, we can find refuge and comfort on the safety net. It may be a long time before we can gain the strength to step back on the scary rope, and that's ok. The net is there for the weary heart that just needs rest; the length of stay is as long a it needs. There are of course other helps for when we fall out of our happiness and don't know how to extinguish the fear to get back up. But, at it's very core, it's the safety net of faith that is the MANDATORY standard of helps. 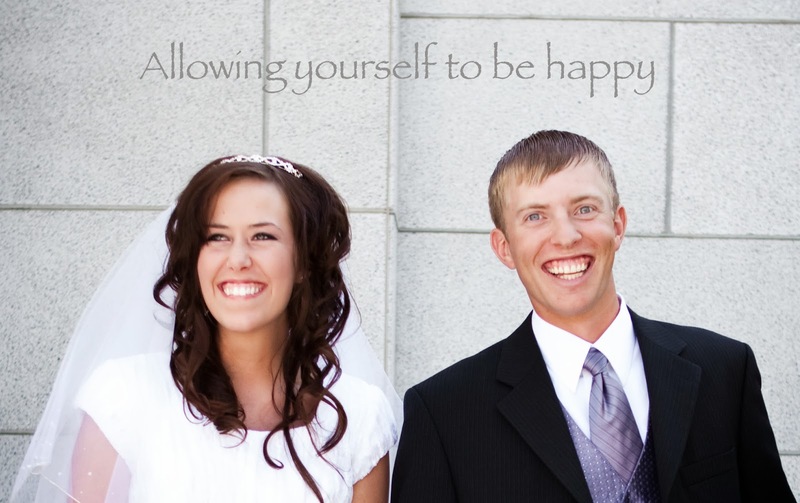 Heaven's slice is allowing yourself to be happy through nourishing your faith.